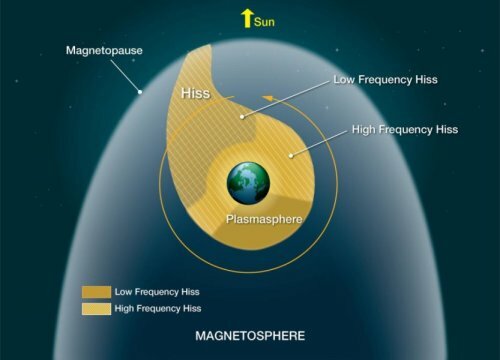 NASA's Van Allen Probes observed a new population of space sound waves, called plasmaspheric hiss, which are important in removing high-energy particles from around Earth that can damage satellites. Other bodies in the solar system don't have the protective measures that Earth enjoys and when robotic space craft visit (and later humans riding in the can), can be negatively influenced by conditions that are unfamiliar, and are not compensated for (presuming that compensation is possible. And before I'm accused of making negative waves, you should read the whole article. Listening to electro-magnetic waves around the Earth, converted to sound, are said to be almost like listening to singing and chirping birds at dawn with a crackling camp fire nearby. This is why such waves are called "chorus waves". They cause polar lights but also high-energy 'killer' electrons that can damage spacecraft. and the largest moon in the solar system. "It's a really surprising and puzzling observation showing that a moon with a magnetic field can create such a tremendous intensification in the power of waves," says the lead author of the study Professor Yuri Shprits of GFZ/ University of Potsdam and who is also affiliated with UCLA. "Chorus waves have been detected in space around the Earth but they are nowhere near as strong as the waves at Jupiter" says Professor Richard Horne of British Antarctic Survey who is a co-author on the study. "Even if small portion of these waves escapes the immediate vicinity of Ganymede, they will be capable of accelerating particles to very high energies and ultimately producing very fast electrons inside Jupiter's magnetic field." The point to these studies is to determine the impact of little known phenomenon on future missions while advancing the general knowledge base. Is it worth the effort? 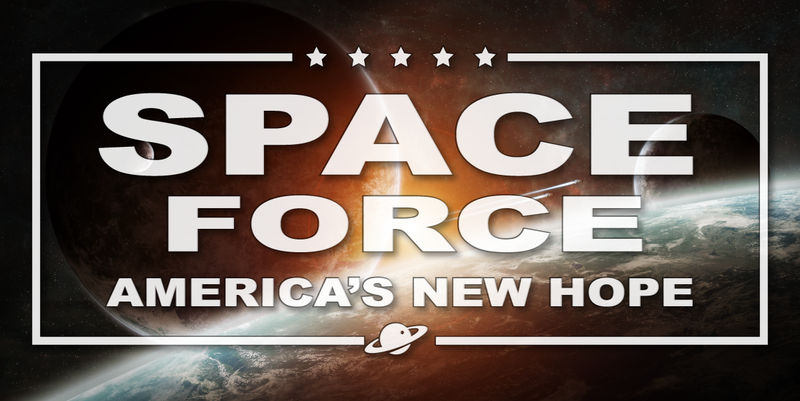 Now that America has a big, beautiful Space Force, we have to be ready for anything. At the moment, we still rely on paid rides on Russian spacecraft to get up to the space station that we paid for by in large.